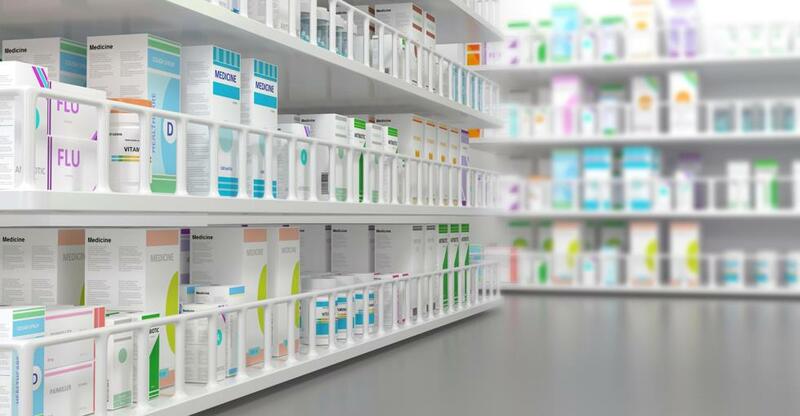 Big retail chains may seem to dominate the space, but there are several strategies to differentiate yourself and run a successful drugstore. Running a drugstore includes a myriad of challenges. When competing against big pharmacy retailers like Walgreens and CVS®, it can be difficult to differentiate yourself enough to bring in profits. However, there are currently still 22,500 independent pharmacies in the United States and these small businesses dispense almost half of the nation’s retail prescription medicine. Not only is running a successful drugstore possible, but it can also be an extremely lucrative way to set yourself up for a promising financial future. Consider the following strategies for running your drugstore as successfully as possible. The biggest way to differentiate yourself from big chains is with customer service. Knowing your customers by name, remembering your last conversation, understanding their health concerns, and giving them personalized service can outweigh the convenience and price of bigger pharmacies. Large retailers will often focus their priorities on prescription volume and cutting costs, giving businesses like yours an opportunity to shine. Plus, when someone has an exceptional experience with a business, they are likely to share it with others, generating great word of mouth for your pharmacy. One major way to build trust with your customers is to become an active member of the community. It’s a frequently used strategy by pharmacy owners, with 43% of owners providing monetary support to 10 or more community organizations and 23% being members of a local business association, according to the National Community Pharmacists Association (NCPA). Whether it’s by sponsoring a little league team or being on the local City Council, showing up for local events shows potential customers that you care about the community’s well-being. You can also use the community to your advantage by creating positive, professional relationships with local doctors. Stop by doctors’ offices in the area to introduce yourself, explain how you can help patients, and ask if you can leave a few business cards. If you make a professional and credible first impression, they may even start referring your business to their patients. As a pharmacy, you likely already understand the benefit of selling products other than prescriptions. Selling medicinal supplies, cosmetics, snacks, etc. can bring in another channel of revenue. However, it’s important to build and restock your inventory based on the needs of the customer. If your community is mostly senior citizens, focus on providing geriatric supplies. Or, if the community lacks a quality grocery store, provide fresh fruit and kitchen staples like milk and eggs. Some pharmacies sell boutique body products, eclectic greeting cards, or school supplies to make themselves stand out. Keep a close eye on what sells well, what doesn’t sell well, and amend your inventory order appropriately. According to the NCPA, the top pharmaceutical services in 2014 were prescription delivery, patient charge accounts, immunizations, compounding, and the sale of durable medical goods. To compete with big retailers, you will still need to provide some of what they can offer. Provide basic immunizations like the flu vaccine, hire students from the community to deliver prescriptions, and do everything possible to offer different payment options to customers. Make it a top priority for your business and staff to deliver some, if not all, of these services to your community. Unfortunately, pharmacies are no stranger to crime. The sale of prescription drugs is an alluring spot to criminals, both from outside and within your business. It’s important that you have physical, technological, and policy measures in place for security purposes. Protect your location against robberies with a security system that includes alarms and high-quality cameras and advertise the security system on external walls to deter potential thieves. Pharmacies are vulnerable not only to outside threats, but employees as well. The best way to prevent internal theft is by limiting physical access to dispensing areas, to reduce the opportunity. Having a security system in place will also help you review tapes of working employees, to ensure nobody is stealing. Proactively prevent this issue by screening employees thoroughly before hiring. Drug testing, referrals, and license verification can all verify good employees while deterring less than reputable ones. Create policies and utilize technology that can detect order discrepancies and lost orders easily while being able to verify customer prescriptions accurately. The more security tools and resources you have, the better off your business will be. Competing against big retailers and standing out in your local community can be challenging, but is very possible with the right strategies. By getting in front of the right people with the right products and services, you’ll find your customer base in no time. For more business advice and insights on pharmacies visit BusinessesForSale.com.